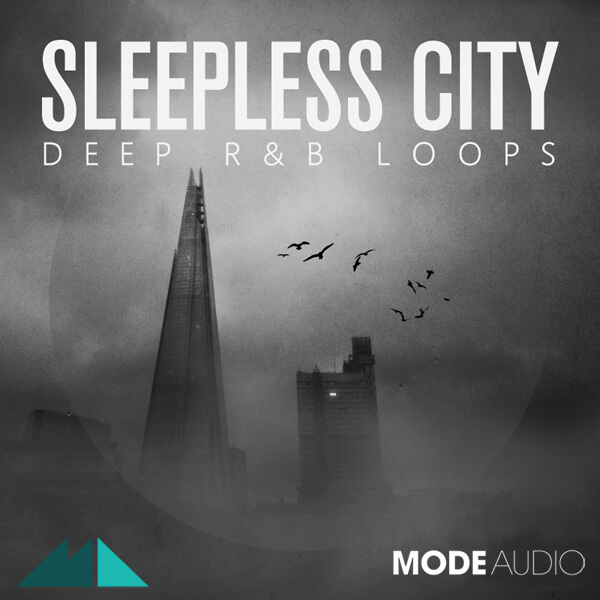 ‘Sleepless City’ is a journey to the dark heart of R&B, a moonlit wander through shadows and empty streets. ModeAudio brings you this Ambient epic pack, featuring 120 deep basslines, detailed drum loops, floating pads, uplifting synth leads and energetic guitar loops. Drum hits and MIDI patterns also await your midnight production sessions. Invite this collision of soulful R&B and delicate Ambience into your music, shrouding your melodies, harmonies and rhythms in deep contemplation and passionate, yearning musicality. Discover new layers of atmosphere on your long, thoughtful walk through the ‘Sleepless City’. This detailed loop and sample library contains seven song Kits spread across folders of bass, drums and fills, pads, guitar riffs, synth leads and snare rolls, with many more sleepy and sensual loops included in each instrument folder. Featuring 120 loops complete with 110 MIDI counterparts, this expansive sample pack will infuse your music with nocturnal mystery. From the yearning and hopeful to the intense and rousing, these sounds will provide the perfect sonic backdrop for the dreamy city dweller. Tempos range from a swaying 60 to a pulsing 78 BPM, giving you room to neatly fit these sounds in with your own production style. Take a chance, roll the dice – open up your music to the dark and dangerous world of ‘Sleepless City’.